The government can be more active about banning chemicals and encouraging and informing about alternatives. It can also educate the public about viable, sustainable options. I had the pleasure of interviewing Tatsuya Nakagawa. 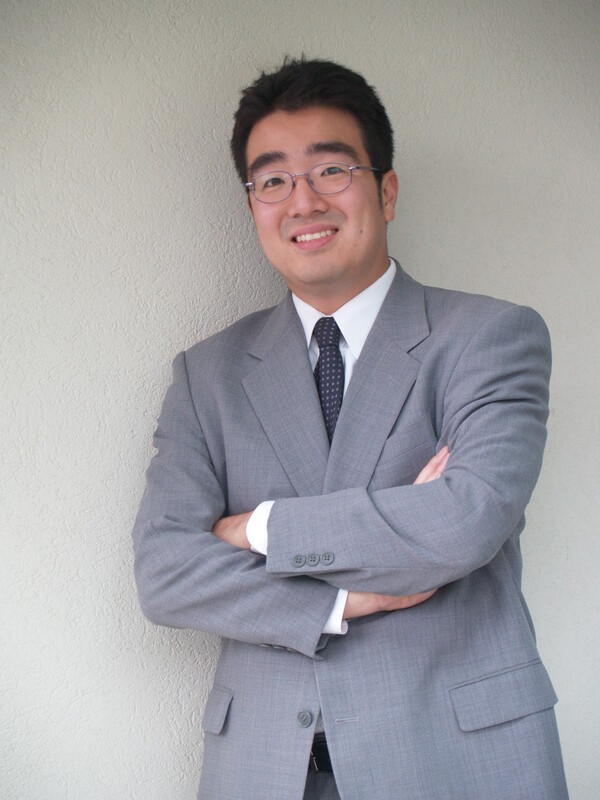 Tatsuya is an accomplished entrepreneur, author of Overcoming Inventoritis, and an expert on innovation and marketing. He’s the co-founder of Castagra Products. Castagra develops, proves, and delivers, game-changing innovations for the building materials and coatings industry. I’ve been an entrepreneur for most of my adult life. I love the feeling of bringing a great new idea or product to the mainstream. I’ve had the great fortune of being involved with more than a hundred product launches over the years. Launching something new is hard work. In the beginning, as you would expect, I wasn’t really good at it. It took a lot of trial and error and learning until I started getting better at it. We started this current venture Castagra Products, Inc. (industrial coatings and roofing coatings) more than eight years ago, but we use a technology that my business partner invented more than 28 years ago. Our company’s mission is to displace as much of the world’s harmful chemicals as possible. Our company manufacturers plant-based coating that provides a safer, more environmentally sound, and higher-performance option for roofs, floors, water tanks, water and wastewater structures, and containment areas. But just like the electric car, our solution is not perfect, but it is by far the best commercially proven option available. The drought resistant and abundant castor plant is the key to our solution. Nature holds the answer to many of our problems! Our main initiative centers around knocking out epoxy coatings in the industry. It has a high concentration of harmful chemicals, and there are other options that work better. The difficultly with most companies at this phase is awareness and exposure. We were very fortunate to win the Dragons’ Den’s Greenvention competition in 2010. The Greenvention competition was not a part of the reality show, but there was also a search for the top innovative green solution in the country for a top cash prize. This was even better than the reality show format since contestants could win $100,000 without giving up any equity. There were more than 4,000 businesses vying for the prize. When starting a company that tackles environmental issues, the key is being extremely critical about the commercial viability of the product or offering. Investors are looking for something compelling. Direct response legend Joseph Sugarman would always test his offer by asking the following? If you woke your prospect at 3 a.m. and told them your business idea or offering, what would they do? B) Be really excited about it, too. Only compelling ideas will survive and thrive. Entrepreneurs can do much more with less. It doesn’t matter how big your company gets; a true entrepreneur is always pushing the envelope, redefining what’s possible and what’s not. The government could support such an effort, but I believe the entrepreneur will drive real change. I am grateful for my business partner and mentor Peter Roosen. Peter created many game-changing innovations that have revolutionized different industries. I started working with Peter in 1999 and worked on many projects together over the years. I admire his ability to process a large amount of information and create working prototypes and test samples seemingly out of thin air. The internet makes things easy. You have a question, you do a quick Google search, and you get an answer. It can make you feel as if you know almost anything. Articles and videos are good, but you need to remember to talk to “real” customers and industry experts on the phone or face-to-face as much as possible. These conversations are where you gain many key insights. Do More Writing or Speaking! Building a business in about spreading your ideas. One of the most effective ways to do that is through writing or speaking. Writing articles, creating videos, or delivering presentations are a few ways to accomplish this. Clearly defining the audience and creating the relevant message that will motivate them to act is a skill every successful entrepreneur has mastered in one form of the other. Early on in the process, I definitely didn’t do as much as I should have in this area. The direct response professionals will teach you a lot in this area. In 2014, the oil prices dropped steeply, ultimately causing many oil and gas companies to go bankrupt. At the time, we were supplying our sustainable coatings to many of the largest oil and gas companies in the industry; they represented 80 to 90 percent of our business. Almost overnight, our sales in that area went to almost zero, almost wiping us out in the process. Luckily, we started to diversify into water and wastewater two years earlier, but in hindsight, it was not nearly aggressive enough. Focusing on one market can be a great thing, but remember, nobody can predict the future. An industry or customer segment can disappear instantly, so having a plan B is always a great idea. In the past, I always tried to avoid haters. Now, I embrace them. Surprisingly, haters will help your business grow. Why? Because haters will passionately talk to other people about your business. Having passionate haters also means you have passionate supporters. How do you get more haters: Become successful, share your beliefs (don’t hold back), and change the status quo. Entrepreneurship has many forms. It pays be aware of what you’re (individual or company) good at and what you’re not. Developing ideas and products from scratch and proving the commercial viability may be a strength. Taking what others have created and commercialized and growing it through distribution might be another. At times, we tried to do it all (developing, commercializing, and operating/growing). This led to inconsistent results. Only when we realized what we were truly good at did the results start to come much faster. I want to inspire people to act on their dreams and ideas. Individual or small companies can make a huge difference in the world. Don’t worry about failing because you will, but if you stick with it, you’ll find a way to succeed.